You give £5 per month. Each month the donations get totted up and we all decide who or what to do with it using a unique system called 'decision pairs'. You could opt out, but it's part of the pleasure to answer one question a month (in your email). So. No big overheads. No CEO taking a massive salary. No danger of being upsold for more money. 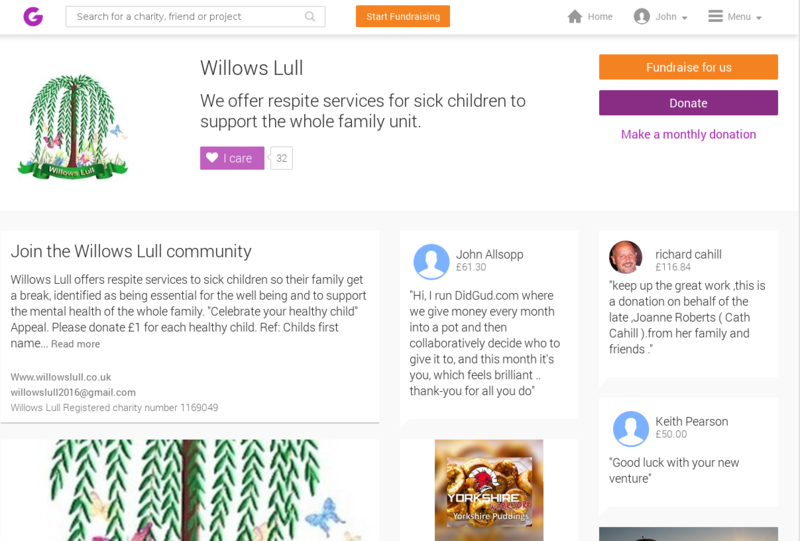 Your contribution goes where contributors decide it should go, month by month, but always local. Scarborough money, circulating. There's a diary and month by month accounts so you can check what's happening. Take a leap of faith and do it. Let's feel better and do some good. If you would like DidGud to happen where you are, request it here. Yes, DidGud is a way to give money to people who need it and so do some real, feel-good stuff in your community. Awesome. But there's more. We decide in pairs who to give to. You are randomly allocated someone to pair with each month and there are a few easy rules to follow but basically you get to meet new people (nice people who want to help your community). Meet over ice cream or keep it to text messages, Facebook or phone, up to you both. It's amazing in that you can be paired (it's different every month) with a very different sort of person to the sort you usually hang around with, and that's really, really good because you are encouraged to understand each others' point of view and reach agreement. In this age of division and hatred, this is a real antidote. And hey, maybe you'll meet someone who will change your life for the better. All this could save your life (the strongest predictor of how long you'll live is how many people you talk to). Not seeing people from day to day is such a big problem we now have a Minister for Loneliness. There are also a variety of roles you get to play. One month you might be coming up with ideas of where to send the money. Other months, you'll be deciding between ideas given to you. And anytime you could be in the pair making the final, ultimate decision who to give the money to. It's kind-of anti-charity, because people seem to have a problem with charity salaries. It's anti-establishment, because everyone giving could be the final decision maker. And it's revolutionary because we get to meet each other instead of hanging around on the sofa watching the world disintegrate. It's actually doing something positive. This is a Scarborough thing to start and it's always going to be local, but there's nothing stopping it being local all over the world. So, the upswell of love you feel when the kid gets a new wheelchair .. is that worth a fiver to you? 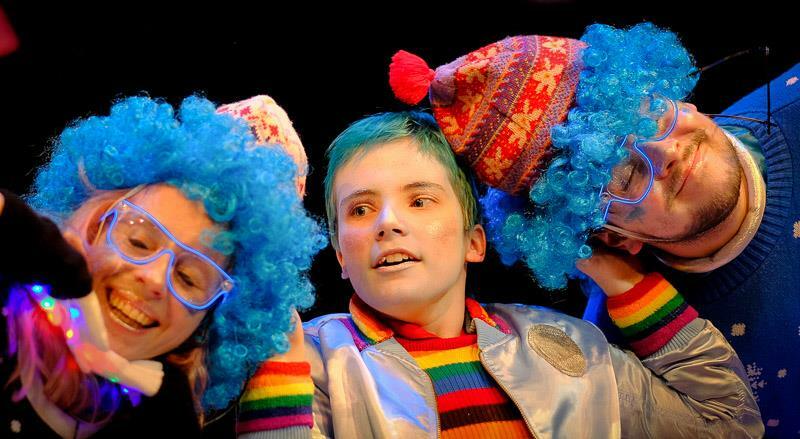 This month is a rollover of £94.08 and we decided to donate it to India Robertson, a young actor with the Stephen Joseph Theatre, who is raising funds for a new wheelchair. You may have seen her in The Night The Moonchild Smiled. Yes, my bad, I'm late with everything. 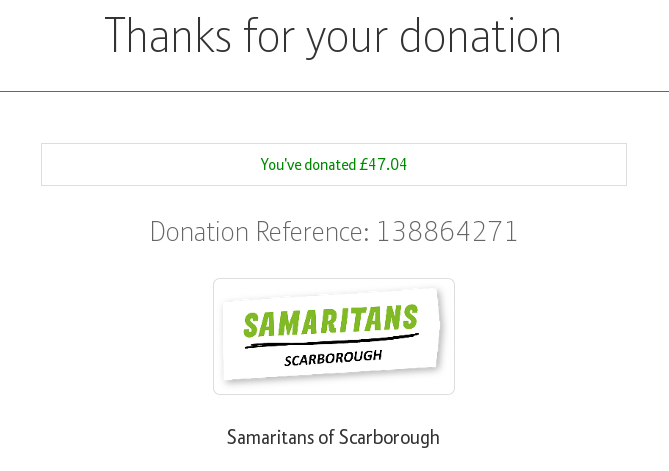 November's donations of £47.04 (see how moving away from Paypal saves a little money) has gone to Scarborough Samaritans. 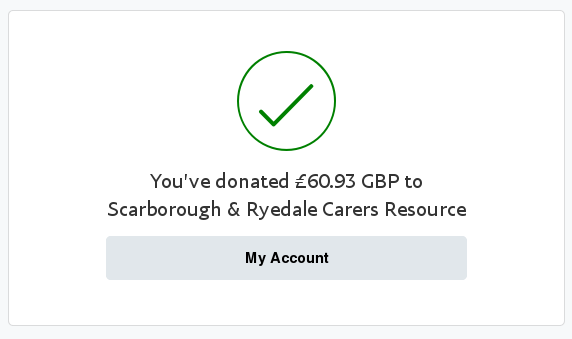 October's donations of £46.30 will go to Yorkshire Coast Families a charity which offers services to meet the needs of families/carer's of children and young adults (0-25) with Disabilities/Additional Needs. 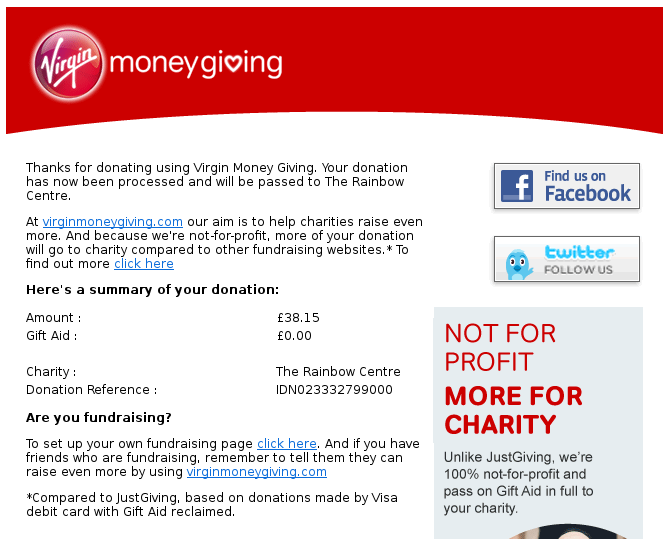 In the last round, we paid out £46.30 to The Rainbow Centre in light of their recent break in. 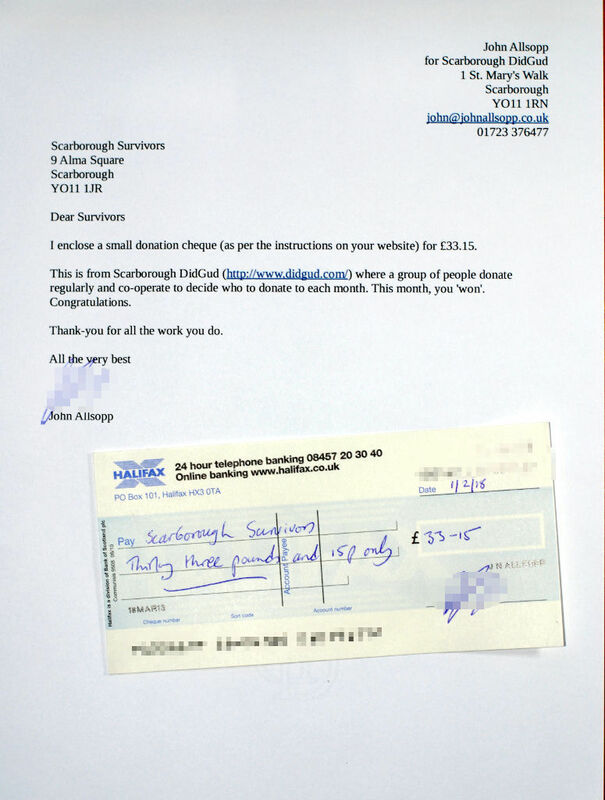 The rollover figure was £92.60 and we sent it to Scarborough and Ryedale Mountain Rescue Team, thank-you. We also decided that text messages would be a useful reminder for people, so I'll be programming that in due course. This month the decision pyramid failed, the pair at the top received no suggestions. Holiday season, eh? So it's a rollover! Also, we're going to use the pyramid to come up with a suggestion for how to not fail in future. Finally got around to working out how to send them their money. 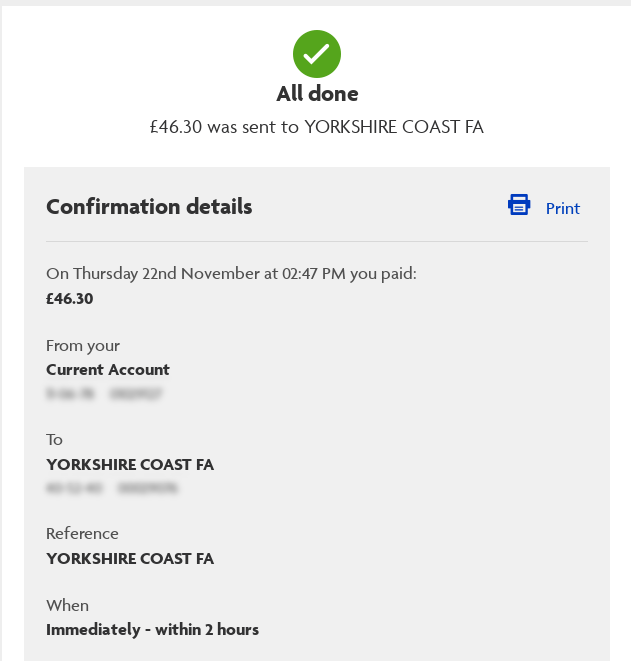 This month's charity was Yorkshire Coast Sight Support, we will send £51.30. I've emailed them to see how they would like the money to be paid. In order to get more people involved I've asked everyone involved in DidGud to go to our Facebook Page and share it, saying a little about why they like DidGud. 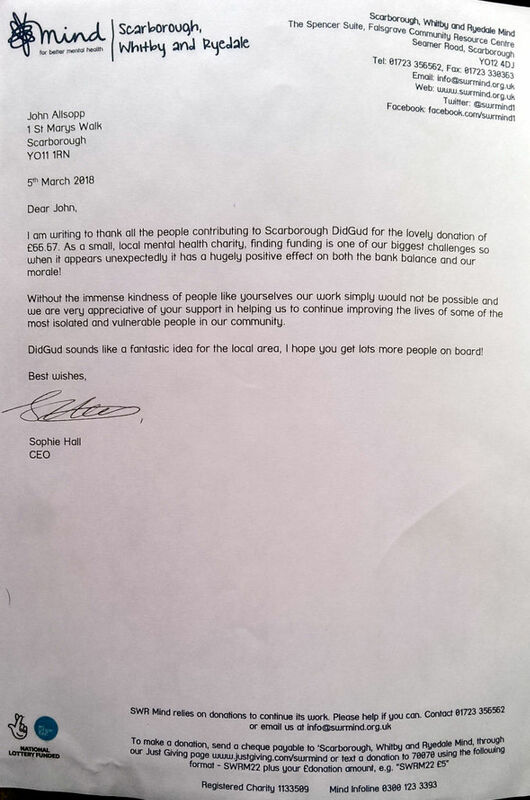 Also, if you know of any Scarborough companies who would like to pay £5 per employee, be seen as a sponsor and get their employees involved in the community, let us know. 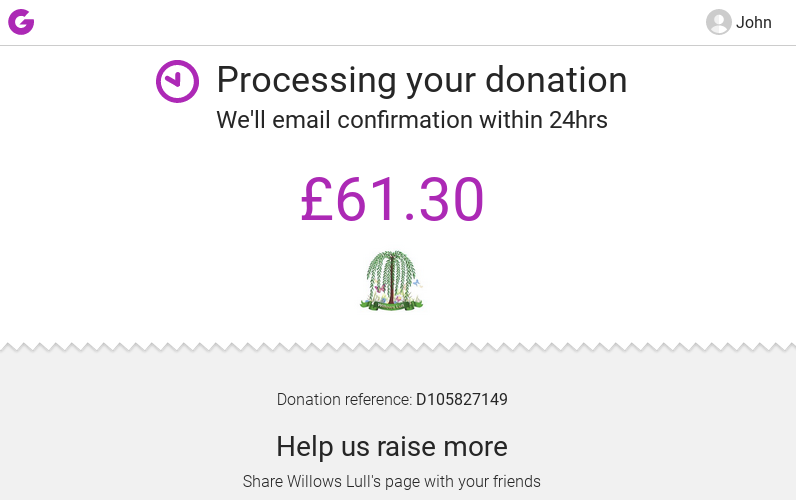 This month we sent £61.30 to Willows Lull Children's Charity. The amount was a tad lower despite Devon giving an extra tenner (thanks Devon) because some of it's cash through Labour meetings and we've been a bit irregular at the moment with choosing our MP candidate. We'll catch up. As part of growing DidGud I've asked Willows Lull whether they will sing our praises a little, we'll see what they say. 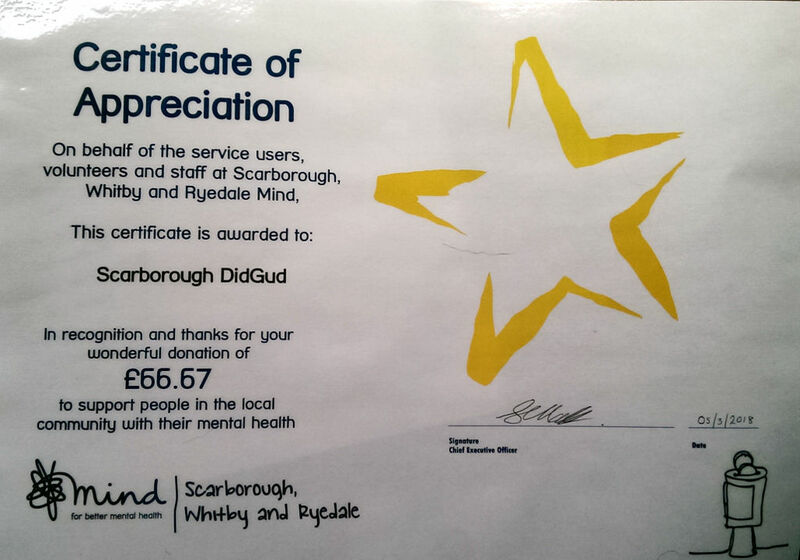 We mustered £66.67 for Scarborough Mind this month which was much appreciated, they sent back a certificate of appreciation and a lovely letter saying that receiving funds unexpectedly has a hugely positive effect on their morale. I'm trying to get to the point where the decision pyramid and emails go out automatically and I did run that for March but I've questions about whether the emails are actually getting delivered so I'll hang on before committing that to absolute automation. Onwards & upwards. This month's decision went to Scarborough Survivors. 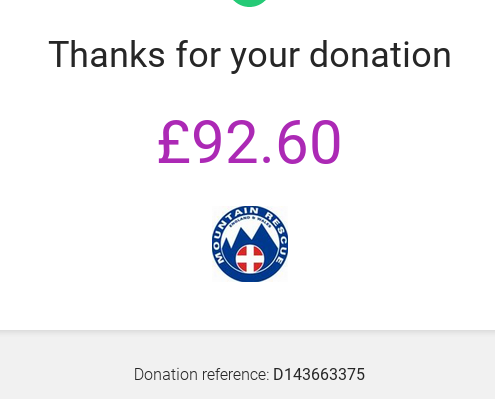 We have the same members but I think I'm missing a cash donation so this month's figure is £33.15. The system seems to work so the next job seems to be to grow the membership so we can help more. 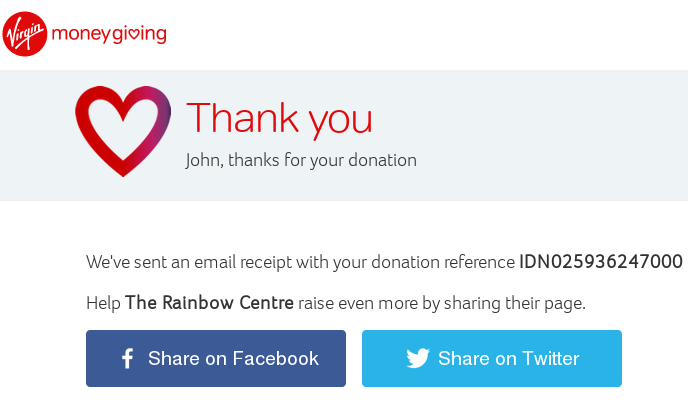 The December test ran pretty much perfectly, we have 9 active members who collectively decided to pay The Rainbow Centre £38.15 (Paypal payments are received minus 37p costs, and one active member wanted to pay cash, didn't, but promised to so they are still in the system, so 5 x £4.63 + 3 x £5). The January pyramid has been created and emails sent. Based on this successful trial I'll continue development and publicity. Obviously one thing to fix is to escape Paypal's charges :-) Another is, this way doesn't appear to qualify for gift aid, since I'm donating other people's money. I'll need to clarify that.